Work Together, Dream For Future. Lots Of Moments We Have, This Is One Of Them. We Are Proud To Be A Bangladeshi. Winter from the beginning Jahangirnagar University Campus guest bird's Calcutta has a face. From Dhaka, you can go easily from the Campus to the clear nature. This Jahangirnagar University Campus place among the green nature. Covered in the tress this green Campus chest there are quite a few pounds. 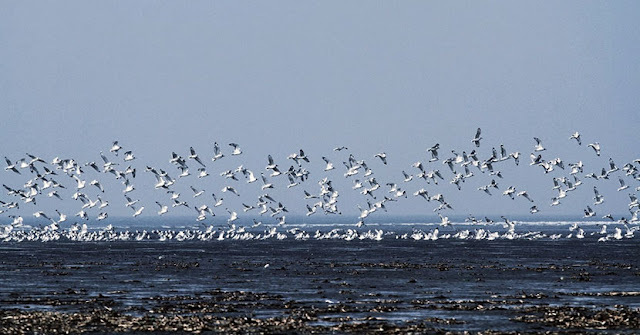 For several years take this place as a bird sanctuary. There are about almost 22 pounds in Jahangirnagar University. In it in front of the Administrative building, two ponds behind, Jahanara Imam Hall, Pritilota Hall, and Al beruni Hall adjoining pond. There is a red waterlily in the pond. In the middle of waterlillys red Carpet would love to. Various types of birds are here. 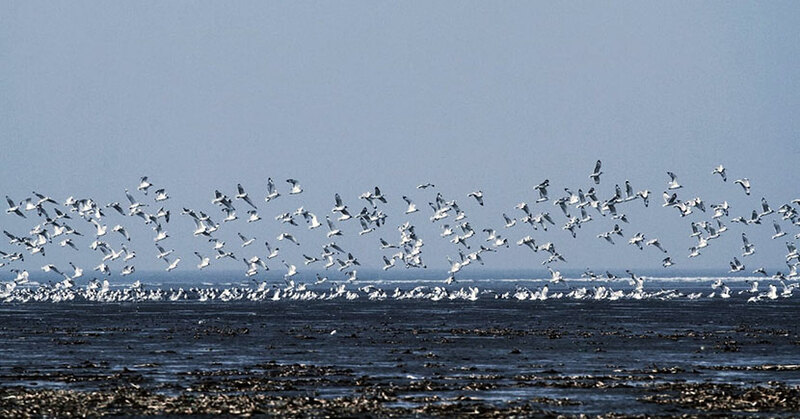 The best time to watch bird's is winter morning and winter afternoon. So you can go morning for the whole day and can spend your time here. You can eat at the hotel at noon. From Dhaka gulistan, farmgate, Kolhapur-which bus go Manikganj, you will ride that. For visit to University, Campus rickshaw is better. 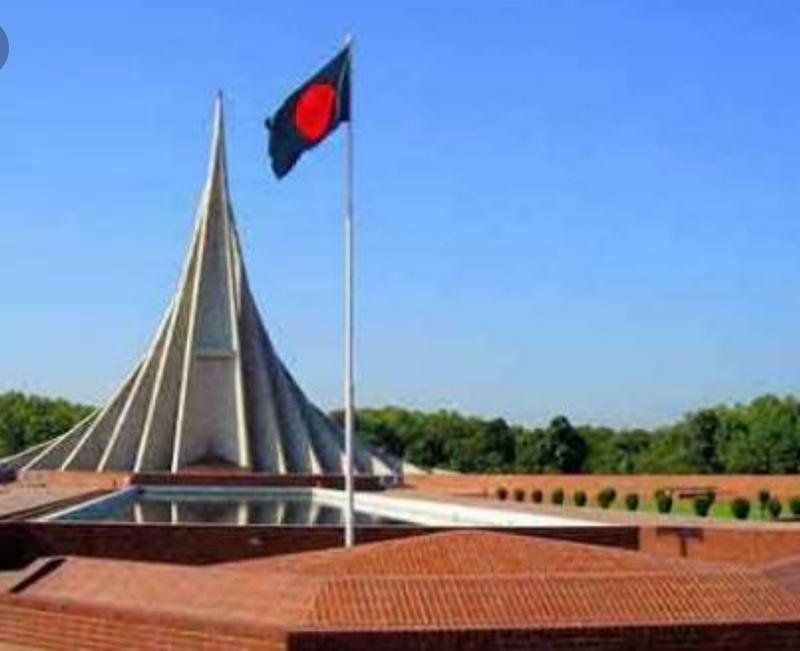 In memory of the martyrs who sacrificed their lives in the great Liberation War of 1971 the eternal symbol of respect for the this National Memorial. It is located in Savar Upozilla, Dhaka, Bangladesh. It has been built with 40 Hectors of space. In 1971 December, Savers Bloody War, the final Victory of the Freedom Fighters, in memory of their valor and sacrifice the Monument building is planned. Among the 57 best design the Architecture Soiyod Mainul Hoesen liked the design. A few days after 1982 the main structure of the Memorial, Artificial Lake and the construction of the garden is completed. The main structure of the Memorial it consists of Seven Pairs of triangular Walls. The walls are arranged from small to large. The length of the middle wall is the Smallest but its height is high. At the highest point, it is 150 feet high. Memorials From different perspectives appear differently. The whole Complexes are Artificial Pool, Garden and Mass Grave. In 1971 savar, Against the Pakistani invading forces the Freedom Fighters had a big fight. Many Freedom Fighters were martyred in this War. Many of the Bengali people are tortured in Savar. After the war, this area was discovered in the Mass Grave and Closed Land. These Mass Graves are located at the Memorials Complex. There is a Pond in front of the Monument. The main structure the Memorial and the National Flag reflect here. There are numerous WaterLilly Flowers in this Lake. 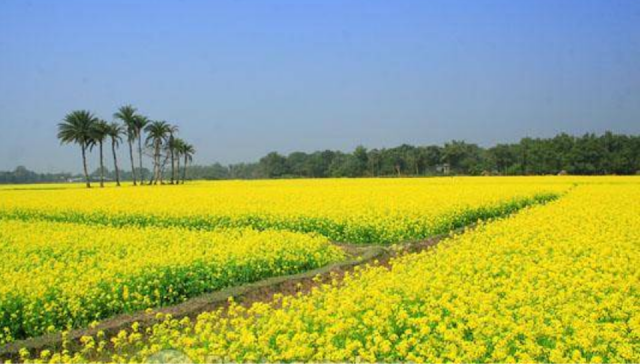 National Flowers of Bangladesh. There is no entry price to enter the Monument. Daily morning 6am to 6 pm till remains open. The six-point movement of 1966. The great Liberation War of 1971. You can go there directly by BRTC bus from Dhaka.It is go from Motijheel-Gulistan to Sahabah, Farmgate, Asadgate, Shamoli, Gabtoli, and Savar. Without it, Hanif, Nondon Super bus and Greenway bus will go there. Hatirjheel is located in Dhaka, Bangladesh. It has been made for public transportation. In this town of brick stone, this Hatirjheel removes people fatigue. 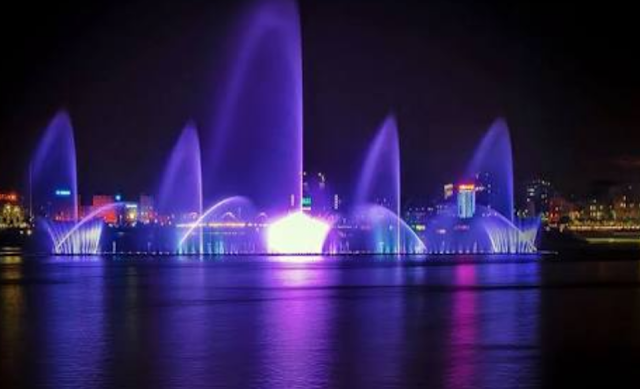 Hatirjheel has become a pleasant entertainment center in the Capital. You can go there anytime day or night. It was built with 1 Thousand 960 Crore Money. 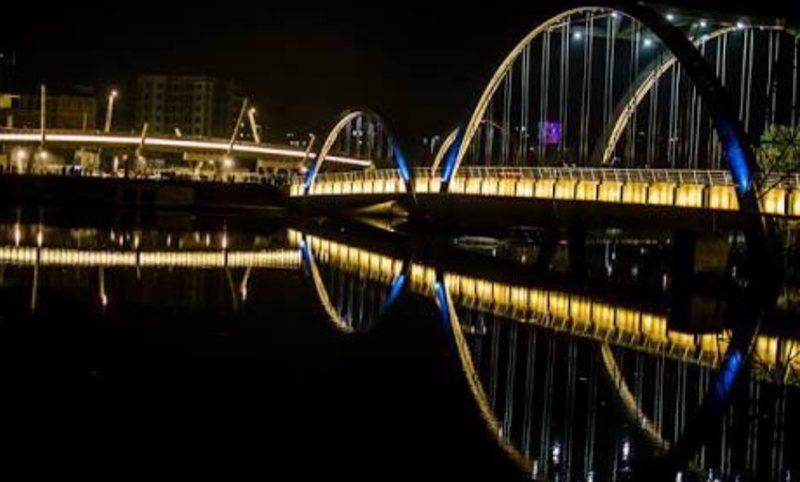 The main object of Hatirjheel is as follows: Water Conservation, Water Logging and Flood Prevention, Dirt Water Drainage, and Development, Resolve Congestion in the Capital and increase the beauty of the city. 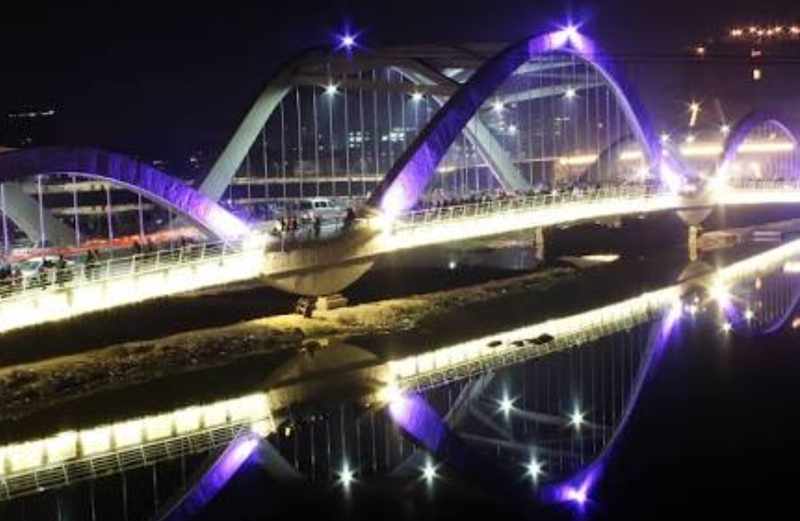 From environmental and Aesthetic aspects Hatirjheel unveiled a new horizon in Dhaka. There are walkways around the Lake. The Hatirjheel on both sides along with overpass has been constructed. The Lake has to go from one side to the other side- The Beautiful Bridge, Surfing Fountain and there are also nice White Hoar Stairs. There are facilities for Navigating Sailing Boat. Will be set for entertainment Children's Park, Cultural Center, World Class Theater and Athletics Center. The Mosque will there for tourists prayers. There are 4 overpasses, Three Viaduct here. Measurement of this place 302 decimal 8723 acre. After the evening, Hatirjheel becomes very beautiful. Pick up the color of the light - colored rugs. In the continuation of the British King, vhawal Kings the Elephants are kept in Pilkhana.In this time Elephant was used for bathing Elephants road and Hatirpul. For the rear of Elephants, That's why the word Elephant has been associated with the name of this area. For bathing, the name of the place is the Hatirjheel. From any place of Dhaka come to the Bus or CNG. There are bus services to visit Hatirjheel. Tickets can be found- Rampura, Modhubag, FDC more, Bowbazar, Shutting Club and Merul Baddas 6 counters. Rent from one counter to another counter is available at a minimum of 10 takas. It will cost 30 takas to make the whole trip Hatirjheel by Bus. In this post, I will share with a beautiful place in Dhaka now called the old town. The place is Hussaini Dalan Old Dhaka you can visit with your family or friends for passing leisure time to go refresh. About three hundred-year-old Imambara or Hussaini Dalan. It is located on Nazimuddin Road in Old Dhaka. This place is the Shiite community's place of Worship. In the Seventeenth Century, it was built during Mughal Emperor Shah Jahans. 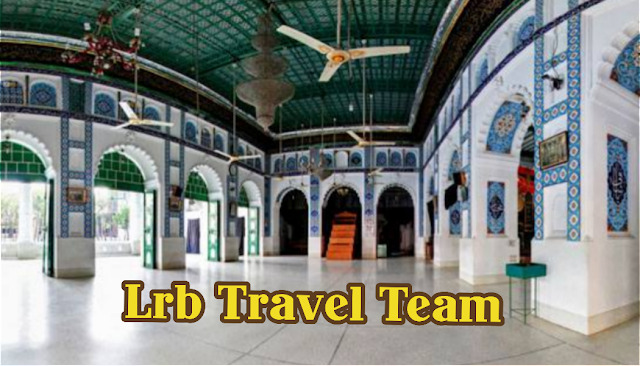 The building was originally built in memory of Imam Hussain's Shahadat Baran in Karbala. Many people do not want to go Old Dhaka to traffic congestion . So many Spectacular places are left unseen.However , there is no danger of traffic Jam on Holidays, then you can come back to the Old Dhaka's Hussaini DalanDalan. It is not too far from the Engineers University, BUET, Dhaka University and Dhaka Medical. Large Gardens on the entrance of this building enters. The Shiite Community's Grave and original structure will also be seen. Dighi is behind the building . You can spend time here. Every year Maharam months date 1 to 10 on the occasion of the Ashura, the Hussaini Dalan became the Zodiac . There are various rituals here. From here the Maharams Tazia Procession came out, it circulates various places in the city. In the National Museum, there is a nice Replica of the Hussaini Dalan. It is made with Silver. Daliy morning 7 am to night 10 pm till remains open. You can go there CNG, Rikshaw or to the Tempo. This Hussaini Dalan situated in Nimtali of Old Dhaka. Jhitka of Manikganj, adjacent to Dhaka the horizon covers a wide range of cane fields. In the middle of the broad yellow field, the date tree is standing in the rows. Honey farmers collect honey from the fields. Called yellow curve away from the cold Maghs Winter. Fog gray crosses yet the time of the Halud. Princess on the fairytale, princess yellow on the neck think so. Every day is present to give the yellow Wedding Bride. The Butterfly, Bess, blue -colored birds of haludia, Insects and everyone in the state is present. Everyone should fall in the attack on the yellow. without it, if you can reach Jhitka in the early morning, however, the excess payment will be collected dates juice. 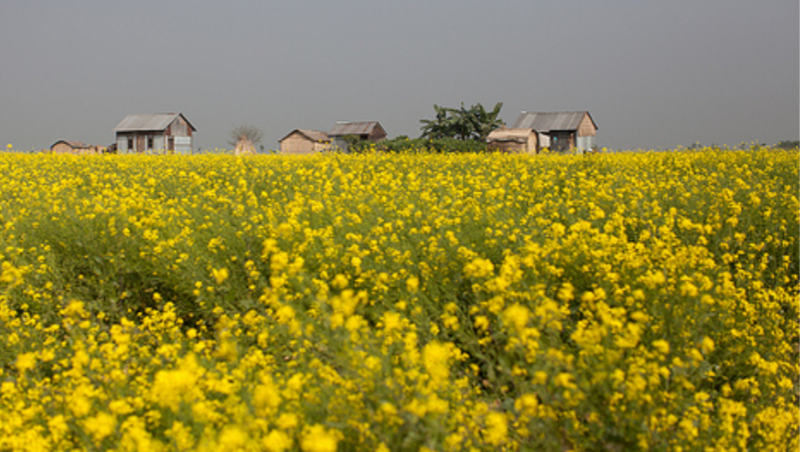 December to January have more than seen the Mustard Flower. Best time for visiting Mustard field early morning or afternoon. From Dhaka to Gulshan to go Shuvojatra and BRTC transport. And from old Dhaka Babu Bazar to go Janjabil and Shuktara transport.From Gabtoli to Jatrisheba, Padma, line, Nobinboron, Village line and Jonosheba transport. Firstly you can go Manikganj. Bus rent-50-60 taka. BRTC rent-90 taka. Shuvojatra rent-80 taka. Then you can go Jhitka by local bus. Bus rent-30 taka. It is a good idea to take your own car travel here. Where the bus falls down, there are hotels. Room rent up to 2 seats -150-200 taka. Without it, there are some hotels in the town hall. If the dates juice is to eat you have to go early in the morning to Jhitka.Then you will go to the house of Shamim Hazari from Jhitka by Rickshaw. On the other side, you will see the juice collector. The juice is to be collected from here. There is no one to be known to take good Molasses of dates. 700 taka per KG. Also get good Molasses per KG -120-350 taka. Golden Temple is located by named Bandarban Uposohors Balaghatastho Pull Para. This Temple addressed named Mohasukh Temple or Budhho Dhatu Jadi Temple. Although its name Golden Temple, but there has no golden dev devis statue. It's color golden, so its present name Golden Temple. From Bandarban, zela sadar its far 4 km. It is a beautiful pagoda. It is a Holy shrine for Budhho religion. Here Buddha religion people come to pray from abroad. Largest of Bangladesh and South Asia's one of the most important this budhhu Dhatu Jadi. Built in contemporary times of Gautama Buddha some of the best in the world, there are 1 statue is here. It costs around 10 million to build it. This Pagoda is in South East Asia's one of the most important installation. There has a small Debota Pukur on the top of the hill. If you want to see this Pagoda you should come from 8:30 to 11:30am. Firstly you will go Bandarban. From Dhaka various type transport leave for the purpose of Bandarban. Such as-Shamoly, Hanif, Unique, S alam, Dolphin. Night 10 or 11 pm you will get the bus from Kolabagan, Sayedabad, Fokirapul. Non-ac bus apiece rent 550tk.Ac- 950tk. You can go from Chittagong to Bandarban. From Boddarhat to Bandarban Pubali and Purbani transport go. Then from Bandarban bus stand to rickshaw or taxi can be used.Rikshaw-30-35tk and taxi 110 -130 tk.From morning 8 am tonight 10 pm till transport move. Train from Dhaka to Chittagong: C -365-480 tk. Non-ac-150-165 tk. Bus From Dhaka to Chittagong: Ac-580-790 tk. Non-ac-250-250 tk. From Dhaka to Chittagong direct:350 tk. From Chittagong to Bandarban:70 tk. There are countless Resort, Hotel, Motel, and Resthouse. Where you spend your night tk from 600 to 3000 tk. Holiday Inn Resort: Opposite side of Meghla Porjoton Complex Holyday Inn Resort is located at the top of the small Hill. There is huge Cottage. Phone:01361-62896. Hillside Resort: It is located by Milonchory that's called 5 km place. It is a advanced environment for night spend. Mobile-01361-62466. Hotel Three Star: It is located beside of Bandarban bus stop. Nilgiri gari leaves from in front of this hotel. Every non-ac flat 2500 tk, ac- 3000 tk.Phone:01353421080, 01813278731. Hotel River Vew: It is located by river Sangu.Phone:0361-62707. If you want, you will stay Nilachol Scape Resort. There is 3 cottage where 6 rooms. Every room rent 3 thousand.Phone: 01777765789. Nilachol Scape Resort: 3000 tk. Porjoton Motel:750 tk to 2000 tk. Hotel Four Star: Single-3000 tk, double- 600, Ac-1200 tk. Hotel Three Star: Non-ac flat-2500 tk, Ac-3000 tk. Hotel Plaza Bandarban: Single-400 tk, double-850, Ac-1200 tk. Without it, there has a beautiful rest house in central Meghla Porjoton. You can spend your vacation time well and easily. For night spend, there are four rooms. Every room 2500 tk daily. Phone:0361-62741. 01361-62742. Mahasthanghar is old pundronagori. It's present name bogura. It is located in shibgonj thana. In this place 4 thousand old installations there. Strong mawra, gupta and various kings use this place as the capital. This destruction of Bogra cities whole Bangladesh carries the tradition. Boiragir vita: It has been for four decades. After digging the remains of the temple are found 2 statues inlaid clitoral pillar is stored. Khodarapathar Sita: At Anjali stone inlaid great buddha and his follower's portrait is preserved. Kalidoho Sagor: On the west, there is historical kalidoho sea and padmadevis residence. There is a ground castle named historical ghar joripa by adjacent kalidoho sea. The people of Hindu religion here worship. Shiladevir Ghat: The east of ghar shiladevis ghat on shore of karataya river. Shiladevi was the sister of porshuram. Every year 1-day Hindu bathing and fair held here. Jiouthkundu Kup: West of shiladevis ghat theres jiouthkundu kup. Govinda vita: It stands in front of Mahasthangarh Museum. It is an excavated archaeological. Totoram Pandits Ghat: It is situated in the basil house or known as milindera merit. Its location is gokul village 3km south distance from bogura sorok. Ishkandar Dhap: This place is situated in the Baghpur village. Khulannar Dhap: Chad saudagars wife khulnannas named after the Khulanna. It is situated by west ghar chengispur village. Mahi Showar Mazar Sharif: Historical mahi showar mazar sharif here. Vimar jungle: Beginning from north east of Bogura to east named damukdhar bitt location till this place wide. This place is similar as like samorik place. Jogir vhavan: This place situated bybaghtahali and its distance from khetlal 3 miles west. 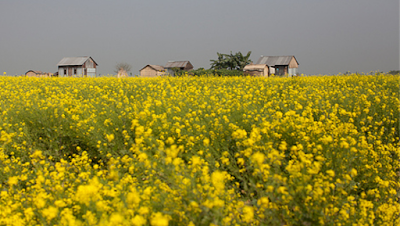 Arora: It is located in urrora village on masan dighi. Teghor: It is located in east chadina hat. Therae are something more visiting and historical place here.such as-rozakpur,mathura, mahasthan musium and porshurams place. Mahasthanghar musuim: Sunday to monday morning this place is closed and daily noon 12:30 pm to noon 2:30 pm till noon break. T.R Travels:Morning 7 am to night 11:30 pm till every after 30 minutes this bus leave dhaka to apropos bogura.phone:gabtoly-01191-494865,mahakhali-01191-494865. Shamoly paribahan: Morning 6 am to night 1:00 am till every after 1 hour this bus leave dhaka to apropos bogura.phone:asad gate-02-9123471,kolabagan-01711130862,sayedabad-01712596940. S.R, Travels: Morning 7:30 am to night 11:30 pm till every after 30 minutes this bus leave dhaka to apropos bogura.phone:gabtoly-02-8011226,uttara-01552315318. Hanif enterprise:Dhaka bus stand,phone: 051-60940,60803,01911-560882. Akboria hotel: Kazi nazmul islam road, thana road, phone:01716-179982. Hotel hunny day, boro maszid len. Hotel aziz,kabi nazrul islam road.